If you are looking for a simple, easy, and obviously a gluten free and vegan friendly starter then dont hesitate a second to check this post. Tofu, you all might have know about this vegan soya paneer. If i dont have paneer at home, soya paneer aka tofu will come in rescue. However tofu with our Indian masala makes some delightful dishes out of it. Indian spices gives a fabulous flavor to this tasteless soya paneer. I have been cooking with this tofu since a long and trust me you can replace tofu very well in any of the paneer based recipes. Tofu works awesome even in making Indian breads. 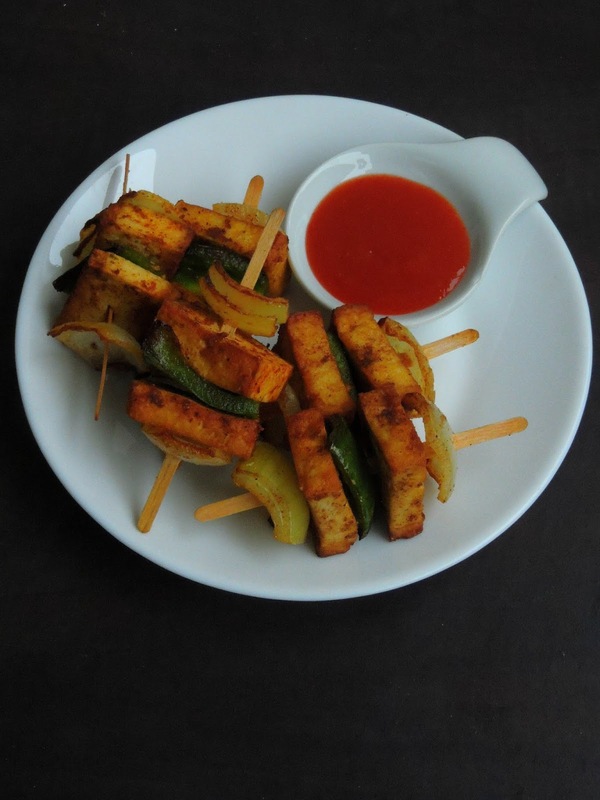 If you dont have any idea to add tofu in your diet, dont forget to go through my space to get an Tofu kebab calls for simple and pantry friendly spice powder, no need of ginger garlic paste. Obviously no grinding part. 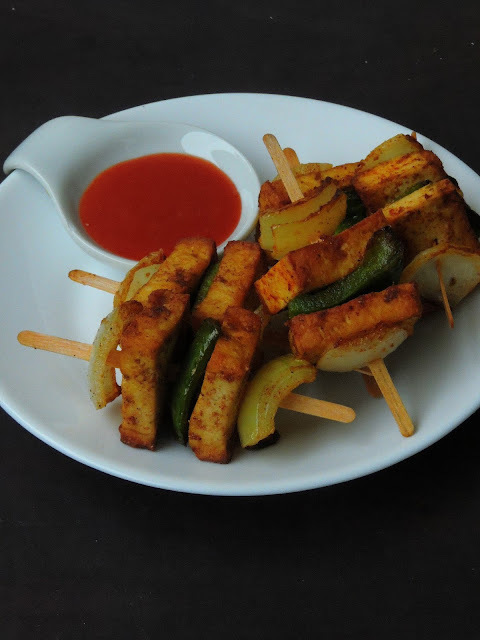 A kind of jhatpat tofu kebab which gets ready easily to please anyone's tastebuds with less efforts. If you want to replace tofu with baby potatoes or any other vegetables chunks, just go on. Anything works awesome for making this delicious spicy kebabs. Tofu works awesome even in making Indian breads. If you dont have any idea to add tofu in your diet, dont forget to go through my space to get an Tofu kebab calls for simple and pantry friendly spice powder, no need of ginger garlic paste. Obviously no grinding part. 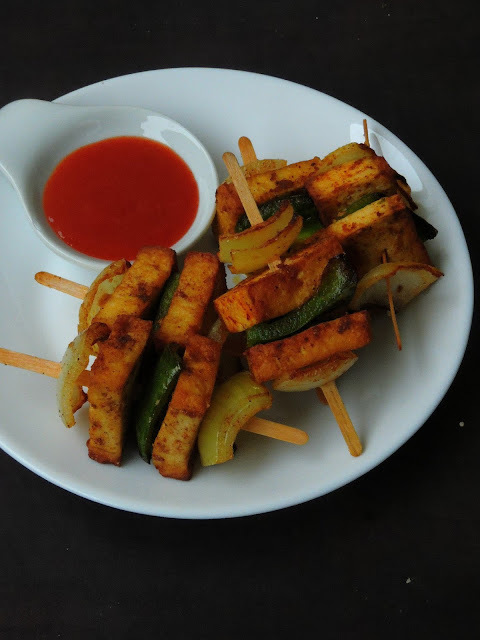 A kind of jhatpat tofu kebab which gets ready easily to please anyone's tastebuds with less efforts. If you want to replace tofu with baby potatoes or any other vegetables chunks, just go on. Anything works awesome for making this delicious spicy kebabs. Take the chilly powder, pepper powder,cumin powder,garam masala powder,salt in a bowl. Add the oil and add in the tofu,onion & bellpepper cubes. Mix well until they gets well coated with the spice powder. 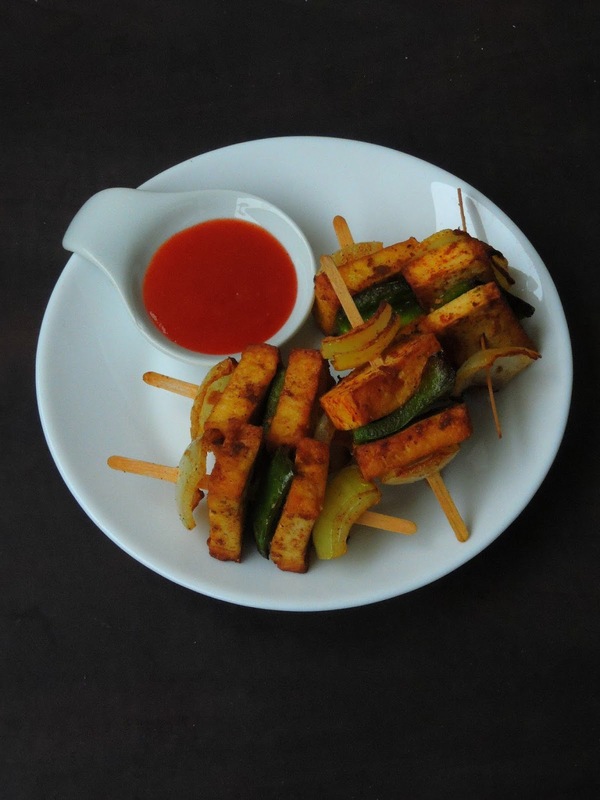 On a skewer, alternate cubes of tofu with bellpepper and onions cubes. Heat enough oil in a pan,drop the skewers and cook in medium flame until they gets well cooked.